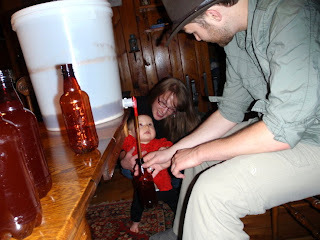 MW Mobile Blog: It's Bottling Day! 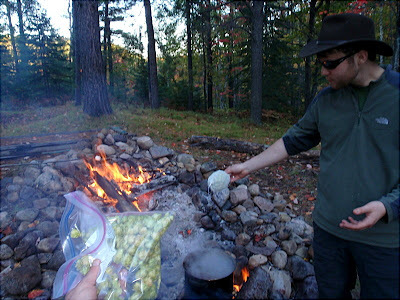 HDW harvested wild Escanaba hops. 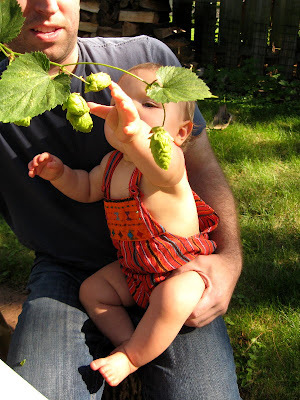 Hops - meet water. 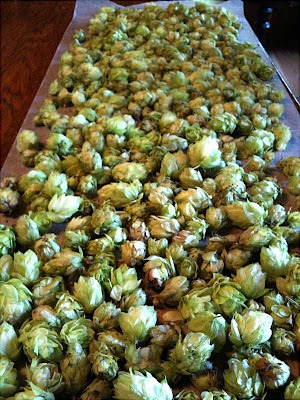 Water - meet hops. 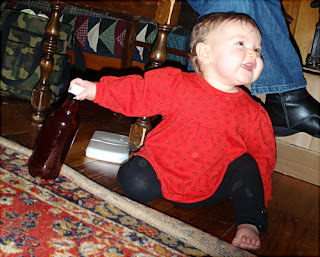 Olive provided quality control review of the bottling process. 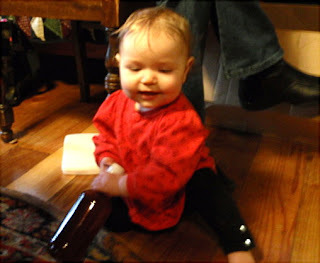 She also inspects the final product for color and weight. And makes a firm claim on her allotment. Plural? I think you overestimate your share. Really? 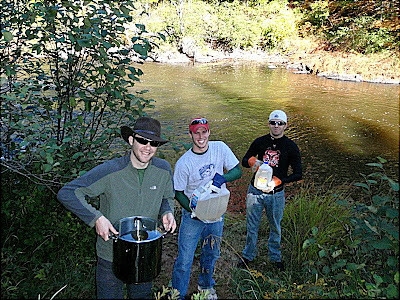 I do believe my contract stated that I would recieve between 2-4 FULL bottles of the beer I helped brew during my stay at camp during the fall closing trip of 2009. Hmm... contract? I asked around and no one recollects any contract being made with you. Sorry... maybe Cousin Mike will look sympathetically upon your plight. I wouldn't assume anything though... it might be in your interest to garner his favor somehow. While we valued your contribution, as well as the contribution of your fireboy Andrew (whose allocation comes out of your share), I think you have confused the basis of your allocation. Here is the important point - All work allocations are based on percentages. The notion of "2-4 FULL bottles" was based on your percentage if 200 bottles were produced. Alas, Sean only managed to bottle 27 with the supplies provided by Joel and... well... you do the math. Well I know I'm getting bottles because brian was so kindly to volunteered his bottle to me. I know what a nice kid. That was part of our contract of me coming up. Well that's great Andrew, but now I'm confused. Because as I already explained on this post, you get one bottle and and Brian gets one bottle. 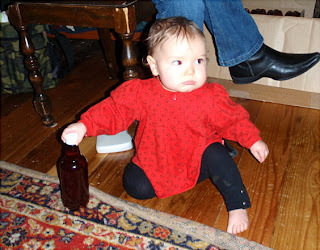 I guess you are saying that you don't need your bottle since Brian is giving you his... Am I getting that right?